I'm only a little bit envious right now . Looks great Paul, cant wait to see the finished product. I can only dream of such a project, great work so far! Well once again many thanks for all the kind words, they certainly help I can assure you. It has been a little while now since I last reported upon progress of this little set up. 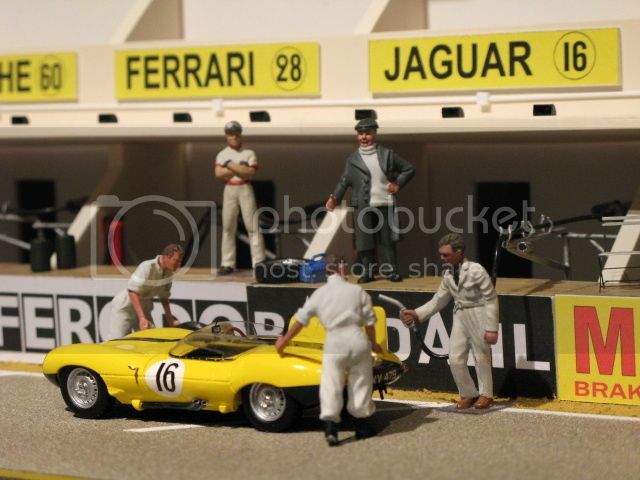 As a lot of you are aware this diorama I started some years ago but with the 60th anniversary of Jaguar finishing 1st, 2nd, 3rd 4th & 6th at Le Mans 1957 it has focused my attention some what to try and complete before 2017 starts! Now very near completion this brings the current state of play right up to date. 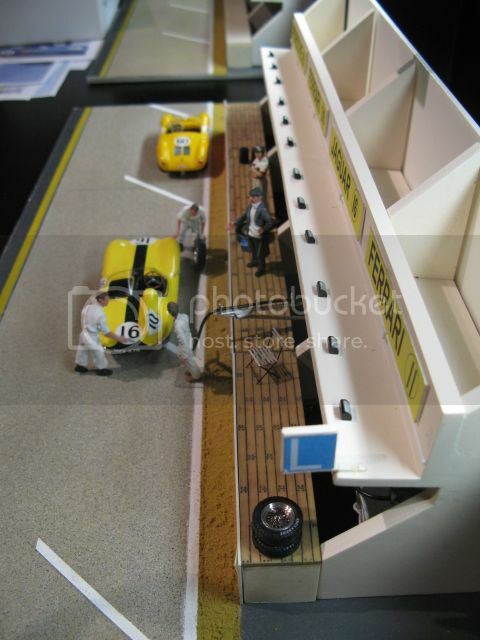 My intention with the Jaguar that finished 4th was to introduce more of an action diorama hence the fuel pit stop during the race, rather than the other Jaguar set of pits which is pre-race with spectators looking on. 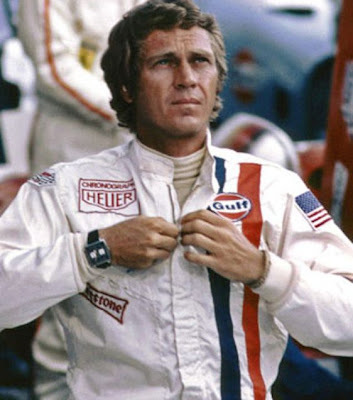 I think I will also add some mechanics working on the Porsche, which unfortunately did eventually retire in the race. 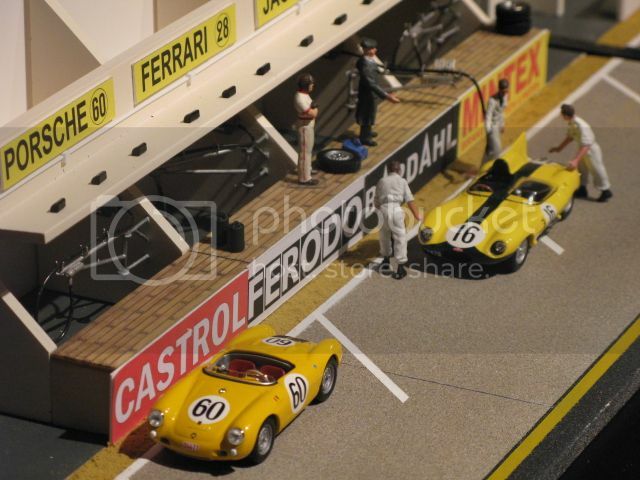 As the Brits did so well at Le Mans in 1957 I'm including the Lotus pit garages, which are in the distance currently under construction. 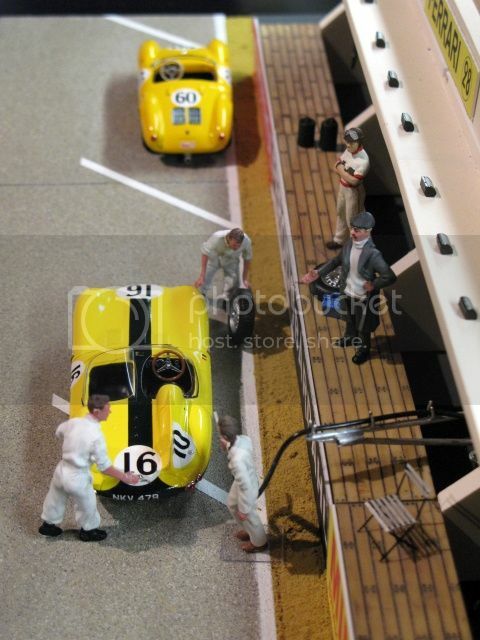 The intention is to have all 3 sets of pits on display in my cabinet ready for Race Retro in late February 2017. What with going away over Christmas and New Year it will be a close dead line to make. I haven't posted in your thread yet, so I thought I'd pop up and say it's a lot of fun following your progress. And as many others have said, it's looking good already!